I help Pittsburghers get out of pain fast and back to doing the activities that they love to do, using one on one personalized care without painkillers, injections, or surgery! I understand that choosing the right person to help you can be a difficult decision. That is why I offer new patients a complimentary Discovery Visit. The Discovery Visit gives us the chance to get to know each other. It allows me to learn more about your condition and ultimately helps to determine if we are the right Pittsburgh chiropractor to work with. GET YOUR COMPLIMENTARY DISCOVERY VISIT TODAY! Do You Need More Information To Determine If This Pittsburgh Chiropractor Is The Right Fit? If you have some questions that need answered Dr. Tauberg is the perfect person to talk to. We want to help you make the best possible decision regarding your health. Dr. Tauberg will gladly speak to you about your condition. During the call he will try to give you a better understanding of your condition as well as help you to determine if we can help you. If you want to know when you can come in and if we can accommodate to your schedule please fill out this form and we will be in contact with you shortly. Hey Pittsburgh Are You In Pain And Want To Know Why? “5 Ways To Stop Low Back Pain In Its Tracks” – Take care of your back pain without pills, injections, or surgery! “6 Ways To Battle Back Against Neck Pain” – Stop letting neck pain dictate your life. Learn how eliminate neck pain from your life! 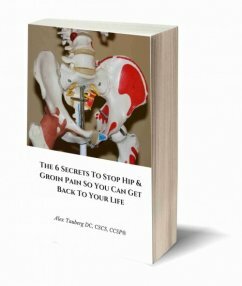 “The 6 Secrets To Stop Hip & Groin Pain So You Can Get Back To Your Life” – Stop dealing with hip and groin pain and start on the road to recovery! 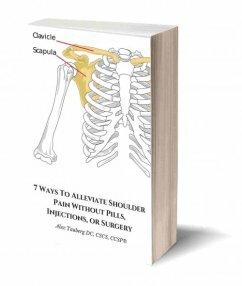 “7 Ways To Alleviate Shoulder Pain Without Pills, Injections, Or Surgery” – Erase shoulder pain from your life! I would like to welcome you to Tauberg Chiropractic & Rehabilitation our goal is to become known as The Pittsburgh Chiropractor. If you are reading this you are probably in a lot of pain and discomfort. Maybe you’re not able to do the things that you want to do because of this pain. This can be frustrating and stressful. I understand that. I have seen many different patients, as well as my own father, go through that struggle. The good news is that I can help you get better. Tauberg Chiropractic & Rehabilitation is located at 55 Alpha Drive West. I strive to get you back to the activities that you love in a timely, evidence-based manner. At Tauberg Chiropractic & Rehabilitation, we want you to be happy and do the things you love to do, whether that is playing a sport, staying physically active, or even lifting a child. I am committed to helping you achieve your goals. The frustrations that come along with missing the things that you love, are completely understandable. My goal is to help you get back to where you want to be as quickly as possible. This will be done by implementing the latest evidence based chiropractic and rehabilitation procedures. I work with patients in and around the Fox Chapel, Lower Allegheny Valley and Greater Pittsburgh areas to achieve the outcomes they want. As your chiropractor,I will work with you on an individual basis. I use a combination of disciplines to allow for me to customize a program that specifically meets your needs. By focusing on problem areas, you can quickly get better and return to your normal lifestyle. Located near the Target in Harmarville where Route 28 and the Pennsylvania Turnpike meet, Tauberg Chiropractic & Rehabilitation is a quick drive from most places in Pittsburgh. Whether you are coming from the heart of the city of Pittsburgh or from one of the suburbs, my location, is next to two of the largest highways in the area which ensures my office iseasy to reach. Best of all I’m only a 15 – 20 minute drive from the heart of Pittsburgh, as well as: New Kensington, Natrona Heights, Monroeville and Gibsonia. Tauberg Chiropractic & Rehabilitation is also located very conveniently for those who live in the Oakmont or Fox Chapel areas. Located off of Freeport Road, Tauberg Chiropractic & Rehabilitation is easy to reach for Fox Chapel area residents. For those who live in Oakmont I’m located right across the Hulton Bridge. The office’s location is less than 10 minutes from Fox Chapel Area High School, my alma mater. Being conveniently located next to the Alpha Ice Complex, I am able to work with some of the players, parents, and teams. Im proud to be one of the team doctors for the Pittsburgh Vengeance junior team. What Made You Open Tauberg Chiropractic & Rehabilitation? I decided I wanted to become a chiropractor when another chiropractor helped my father (Dr. Stuart Tauberg, M.D.) return to top performance after a back injury. He went to multiple specialists and tried different care disciplines before he finally went to a chiropractor who was able to alleviate his pain. This chiropractor, a former professor at the University of Pittsburgh, was an evidence based chiropractor. It was that experience that instilled the desire to provide patients with top notch care that is based in recent research and evidence. I chose to serve the Fox Chapel and greater Pittsburgh areas because of my connections to the region. I was born in Pittsburgh, and grew up in Fox Chapel. My family has lived in the Pittsburgh area for many generations and has grown to consider the area as more than just a home. Most importantly I love the area and feel a responsibility to serve the local community. Many people are unaware that there are different types of chiropractors. When you search google for a “chiropractor near me” you have to be careful. At Tauberg Chiropractic & Rehabilitation, I don’t just see patients for a 5 minute adjustment and send them on their way. I work with my patients using the latest in rehabilitation and chiropractic research to get them better. When you come to Tauberg Chiropractic & Rehabilitation you should expect to receive individualized attention. I use different techniques such as soft tissue work, exercise therapy, traction, and manipulation to get my patients better as quickly as possible. I follow the guidelines put in place by evidence based organizations. Most noteworthy, I will never be subjected to dishonest practices. There are many different misconceptions floating around on what chiropractors do. One common misconception is that manipulation is the only treatment chiropractors practice. While this may be true of some chiropractors, it is not true of the very best in the profession. Manipulation is a tool that can be used to get someone out of pain, but it is not the only tool. What is usually best is combining multiple tools into a treatment plan in order to provide comprehensive care. My patients are treated with a wide array of procedures. The treatments that are most often used at Tauberg Chiropractic & Rehabilitation include but are not limited to: manipulation, soft tissue work, myofascial release, exercise therapy, assisted stretching, and other types of rehabilitation services. Another misconception is that chiropractors only treat back pain. Back pain is one of the most common conditions that is treated at this Pittsburgh chiropractor’s office but it is far from the only one. When you search google for a chiropractor nearby you may not know which option to choose because they all look the same. While completely understandable you should make sure you choose the best chiropractor for you. Whether you choose Tauberg Chiropractic & Rehabilitation or not I recommend that you make an informed decision. To learn more information on how to make an informed decision please check out my Chiropractor Near Me page. I serve Pittsburgh and its surrounding communities. This includes Blawnox, Cheswick, Fox Chapel, Harmar, Oakmont, O’Hara, Penn Hills, Plum, Springdale, and Verona. If you live in or around any of these communities, above all I want to help you start feeling better. If you are still on the fence please schedule a complimentary Discovery Visit or Phone Consultation today by calling 412-517-8125.